Following in the footsteps of Facebook Live and Twitter's Periscope, YouTube is bringing its own live streaming functionality to mobile. YouTube's live streaming of content is nothing new, its Live service has existed since 2011, but this is the first time YouTube has allowed live streaming to come directly from mobile phones. In the past YouTube's live streaming has been limited to desktop static setups, but this movement towards mobile will allow people to broadcast live at a moment's notice. This launch comes as YouTube licenses its first big budget exclusive show for its subscription service YouTube Red, which sits at the other end of the production values spectrum. The combination of the moves gives the sense that YouTube is attempting to compete on all fronts. YouTube wants the immediacy of mobile live-streaming alongside the subscription revenues of original programming, and it wants both of these in addition to the increasingly professional user-generated content that it's been traditionally known for. 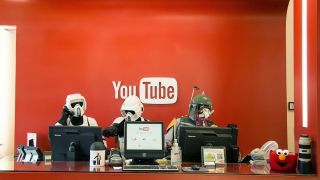 But whether YouTube will be able to compete with these more specialist services in the long term remains to be seen.